Sometimes I do something different as nature photography. Last weekend I spent in Venice, Italy for a small city trip. Even though city photography isn’t really my cup of tea, I still like to grab some shots while I’m out there. 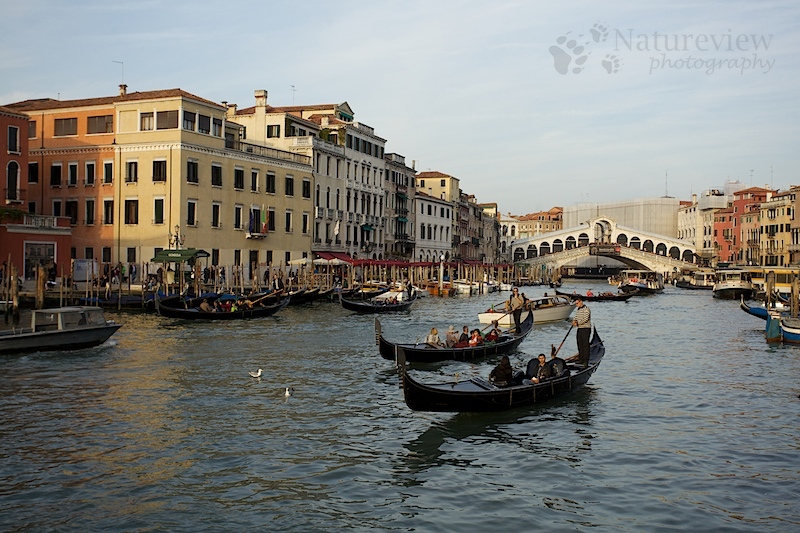 This picture shows a typical view of Venice, the Canal Grande with the Rialto bridge and gondola’s. The day we arrived there was a bit of sun, lightening up the buildings a bit. Nicely composed image! I love the gondolas and the bridge in the background. It looks like a lovely peaceful scene. “Typical?” For most people, there is nothing typical about a scene line this. We read about Venice and see pictures and movies, but we have never experienced the city ourselves. I really like this shot–it’s a beautiful iconic image of Venice.